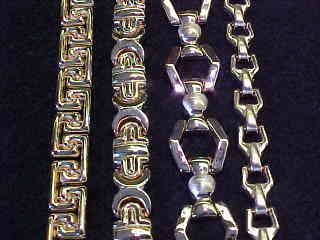 PRE-OWNED JEWELRY REFINISHED LIKE NEW...SOLD AT PRICES . 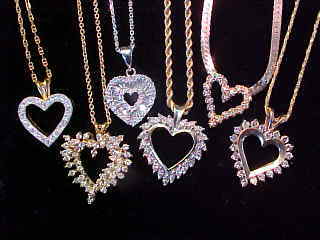 B E L O W WHOLESALE!!! 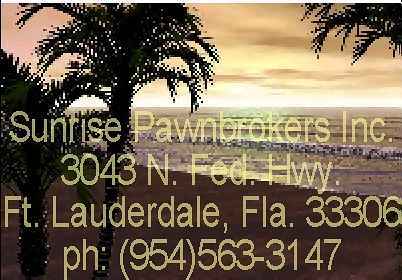 MANY ITEMS INCLUDING WATCHES, CAMERAS, GOLD & DIAMOND JEWELRY, MUSICAL INSTRUMENTS ETC. SOLD AT TREMENDOUS SAVINGS! 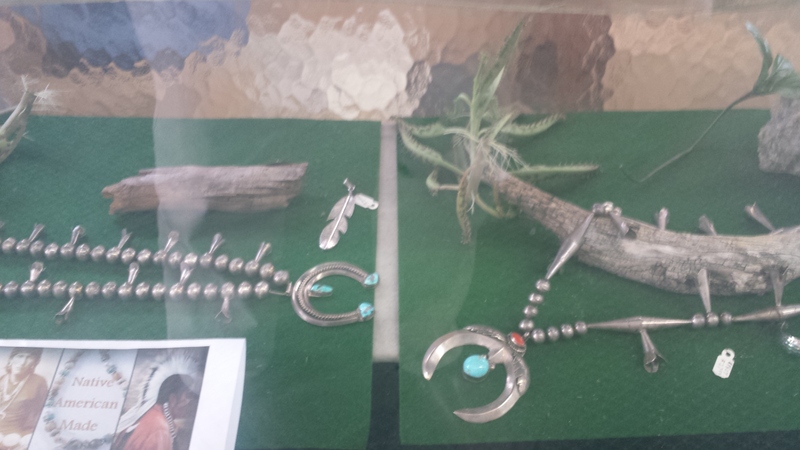 OUR INVENTORY IS CONSTANTLY CHANGING AND SATISFACTION IS ALWAYS GUARANTEED! 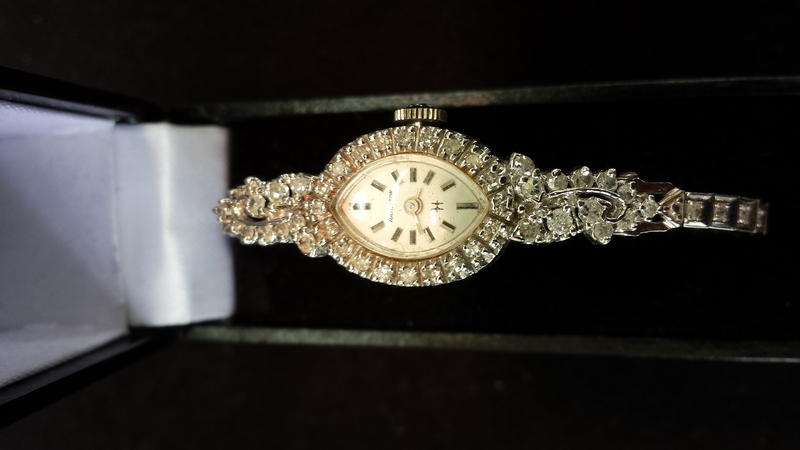 Lady's 14K Hamilton Bracelat Watch(1.25cts dias.)...$875. 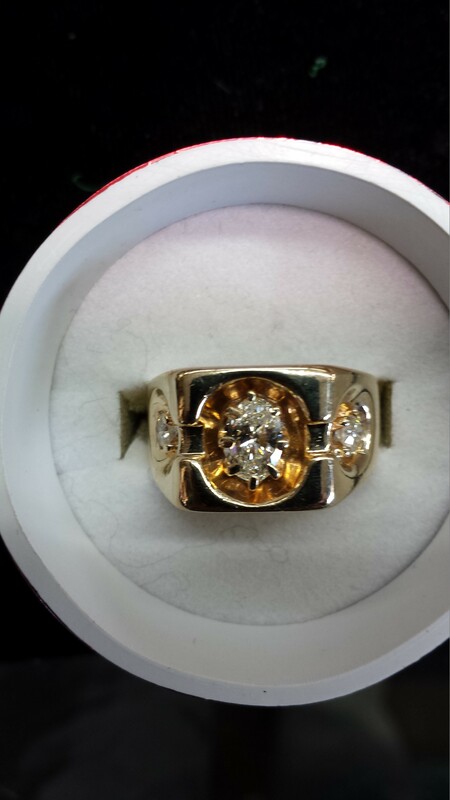 Gent's 14K DIAMOND Ring(.90cts tot.wt.)...$1150. 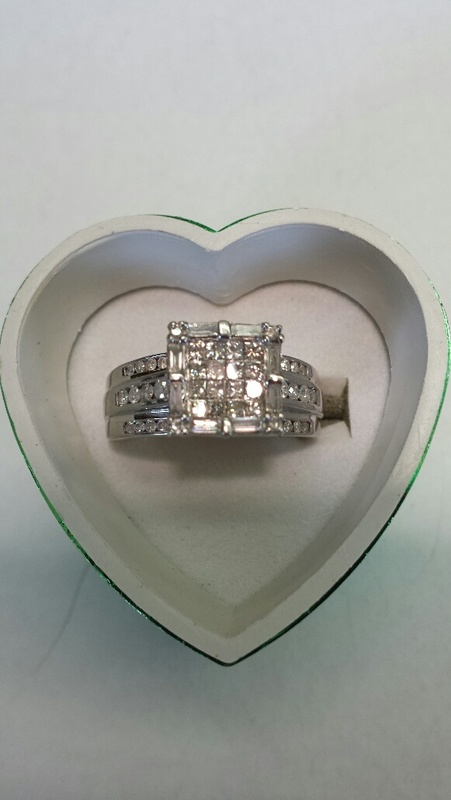 Ladys Sterling Diamond Ring(1 ct. tot.wt.)...$295. 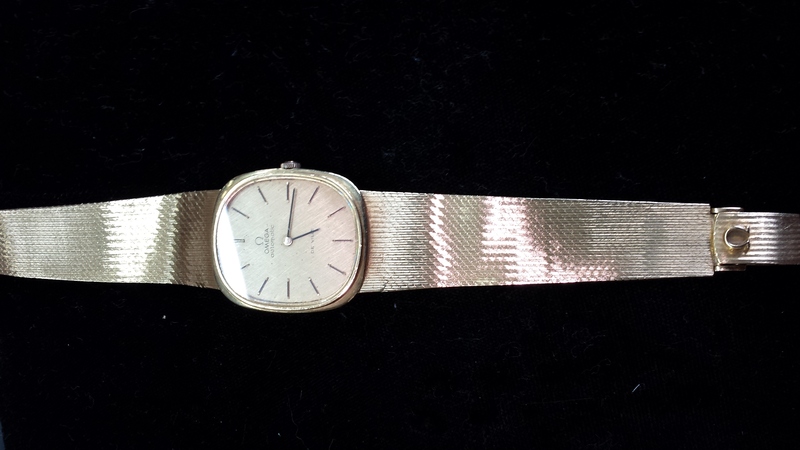 Gents 18K Omega De Ville Auto(45 dwts.)...$3200. 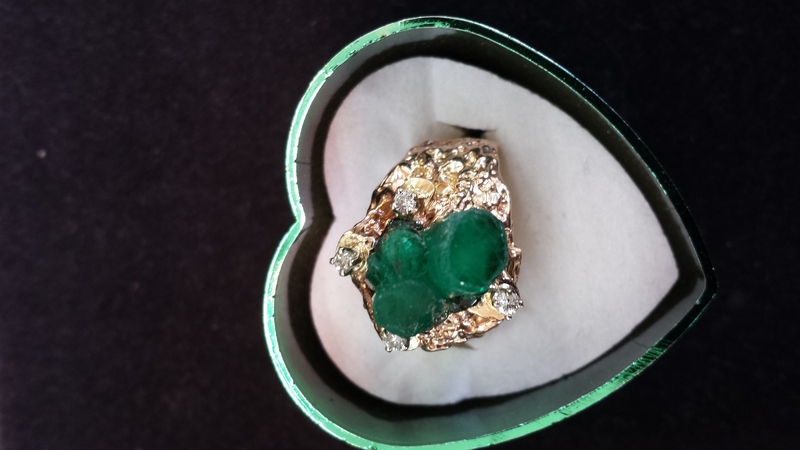 Lady's 14K Cabashon Emerald Ring..$495.